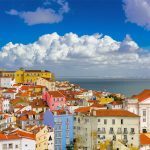 Last year Portugal won over 2,000 international awards according to the government, from different areas of tourism, including the World Travel Awards as the Best Tourism Destination in the World. And if proof were needed that the country is in vogue, then according to official statistics there were 20.6 million visitors in 2017, up 8.9% on 2016 and, for the first time, the number of foreigners outstripped the number of people living in Portugal, reaching 12.7 million. At the opening session of the IV Portuguese Tourism Summit which took place in Lisbon on 27 September, on World Tourism Day, the Prime Minister António Costa said that “when the idea that there were too many tourists in Portugal is going around, I would say you can never have too many tourists, on the contrary, we need to increase the number of tourists in Portugal.” When this sector is worth on average 10% of Gross Domestic Product (GDP) in the European Union and in Portugal just 8% then “I have to say that we should at least achieve the European Union average of 10%”. 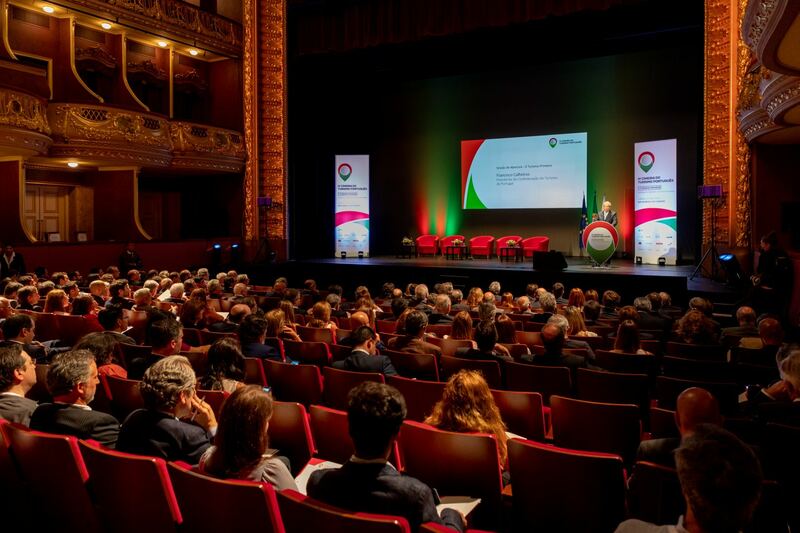 The idea was backed up at the event by Francisco Calheiros, President of the Portugal Confederation of Tourism (CTP), the organisation that organised the event. He admitted to being tired of “the criticism at the increase in tourism, namely in relation to Lisbon and Porto, particularly since these criticisms never came with solutions that didn’t prohibit or restrict the movement of tourists in various points of the respective cities.” In his opinion, and without downplaying the quality of the lives of the locals affected, it was necessary to “offer them an enriching experience with citizens from other countries” which would only be possible by “adopting intelligent and sustainable models of destination management.” Citing Amsterdam as an example of planning which instead of limiting and prohibiting, studied tourist behaviour patterns and created technological tools that funnelled them into less congested areas by creating new centres of attraction. And if a high number of overseas tourists are coming to Portugal, the “national economy isn’t sustainable without them”, and Francisco Calheiros stresses the urgent importance of having a new international airport. He asked when we could hope to advance with a solution at Montijo since the current airport at Portela had “reached capacity” and we are losing a million tourists per year”, he said. In 2017 Lisbon’s international airport Humberto Delgado registered over 26 million passengers and over 185,000 flight movements. According to Pedro Marques, the Portuguese minister for Planning and Infrastructures, this will continue to be the main airport for the Lisbon region and will be the target of investments in the short term (removing one little used runway (1% of movements) and making the space available for aircraft parking stands) that will guarantee the expansion of its capacity and improve its quality without having to wait for the construction of the new additional airport at Montijo. The investments will enable the number of hourly flights and passengers processed to be increased. There will also be improvements made in terms of access to and from the city. 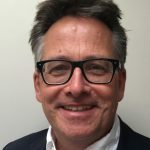 Attesting to how vital these changes would be, Antonoaldo Neves, CEO of TAP spoke of the “urgency for a new Lisbon airport” which on the very day of the summit had suffered a 44% delay rate because of limitations in the infrastructure at Lisbon airport. 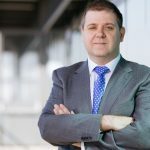 For four years TAP has been spending 50 million euro per year on contingency plans related to delays and this year that figure will jump to 100 million euro, meaning 50 million euro that could have been reimbursed to our customers in the form of lower charges.” TAP grew 13% this year and is expected to grow 14% next year. 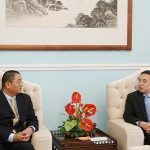 But he considers it vital to know the details about the expansion of air space so as to plan TAP’s operations with concrete data. Aside from the capital and the flow of tourists that frequent it, Fernando Medina, Mayor of Lisbon reminded the summit of the importance of tourism for the socio-economic development of the city because it creates jobs and brings investment. He dismissed tourism as being to blame when it came to the chronic housing shortage in Lisbon. 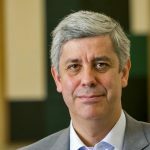 “It is not tourism that is driving property prices in Lisbon, it has had a contribution in Lisbon, but it is a phenomena that is wider, generalised and won’t be solved by putting restrictions on tourists, it can be solved by increasing the amount of housing stock available in the market, in particular housing at accessible costs for the middle classes”, he argued. The prime minister too believes that banning or restricting tourism is not the answer for inflated property prices in the city. He too spoke of the need for affordable housing and approving the government’s proposed affordable rent law. Tourist numbers are inextricably linked to local accommodation and the Mayor says that the new local accommodation law is a tool that enables the council to manage tourist and short-term rentals in the city, introducing limits on expansion in specific demarcated areas with long-established historic neighbourhoods. Fernando Medina argued that it is here that the balance between local residents and tourism had to be struck. “A historic neighbourhood with just tourists is a historic neighbourhood that will quickly no longer attract tourists”, he stressed. In other areas of Lisbon he wants tourism to expand; safely, securely and with a quality offer. 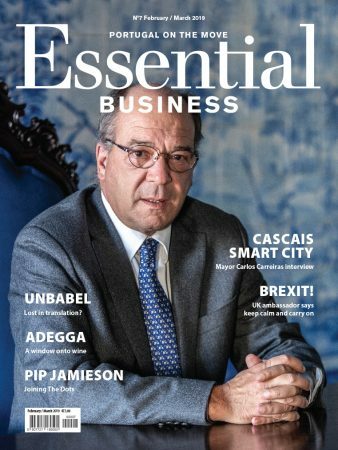 “We need tourism for both jobs and investment and to keep Lisbon great as a city”, he added. 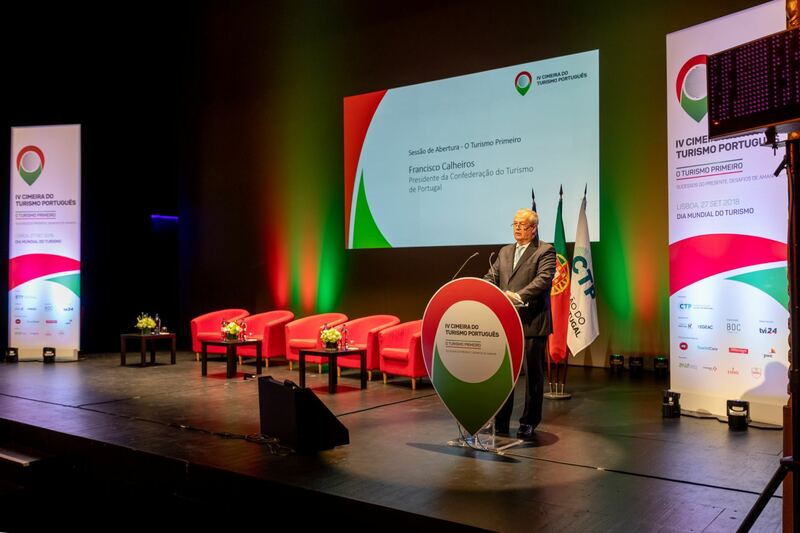 The Minister of the Economy, Manuel Caldeira Cabral, said that tourism was decisively contributing towards the growth of Portugal’s economy, for creating employment and for raising Portugal’s overseas image. Revenues have doubled to that of visitor numbers, with more during the low season and spread out all over the country. He also announced that new lines of finance would be created which would be destined particularly for the interior of the country and which would be comprised of funds earmarked for education and a real estate fund. Currently representing 18% of Portugal’s exports and 58% of exports of services, the importance of the tourism sector for the economy is undeniable. 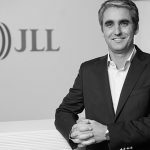 There is no such thing as too many tourists according to Jaime Esteves, partner at PWC Portugal. 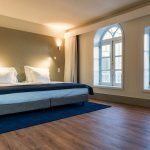 According to a PWC study “Managing Portugal’s Tourism Destinations” more management is needed to maintain the positive experience of the tourist and ensure they return and recommend Portugal to their friends and family. Only then will it be possible to ensure Portugal’s economic and social development with more and better employment and quality of life for residents. 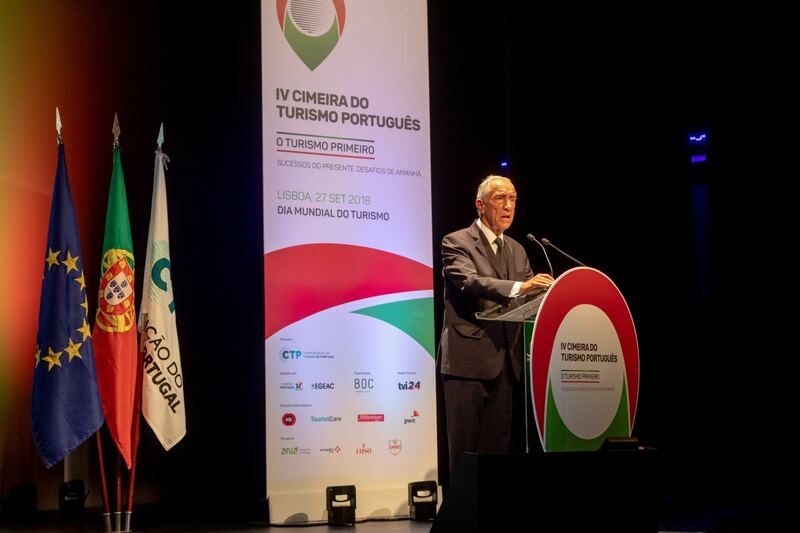 Closing the summit, the Portuguese President Marcelo Rebelo de Sousa stated, “We have no need to fear tourism.” Despite the challenges that the sector is facing, it makes an essential contribution towards national wealth. He reminded the audience that the Portuguese are welcoming and of the advantages of tourism providing it was more sustainable even if it is increasingly seasonal.